Reading, Eating, Conversing Italian Style! The best book club ever! No one has to cook, clean their house, or clean up afterwards. Just pay $20 and show up at Nicoletta’s Table in Lake Oswego. The ambiance, the food, and the lively conversation will transport you to Italy for a few hours. I always feel as though I have been on a mini vacation! Many thanks to Shari Newman, proprietor and her talented staff Liane and Suzanne for making these meetings so much fun. They spoil us with a yummy 3-4 course lunch including dessert and prosecco. The next gathering is Wednesday, Novmber 18, 11:30 -1:30 P.M. 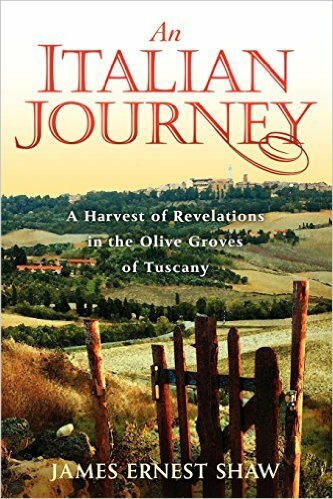 The book is An Italian Journey: A Harvest of Revelations in the Olive Groves of Tuscany by James Ernest Shaw. I downloaded a copy on my Kindle. Make a reservation by calling Nicoletta’s Table at 503-699-2927. Ciao!